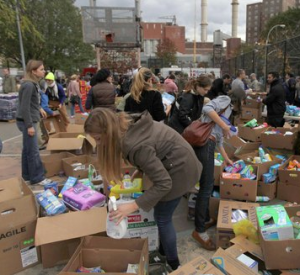 The local outpouring of relief efforts, support and general humanitarianism in the wake of Hurricane Sandy last week has been nothing short of inspiring. As a New Yorker, I’m generally pleased with our governor, Andrew Cuomo’s, efforts in restoring power, food, water, transportation and livable conditions to our city. 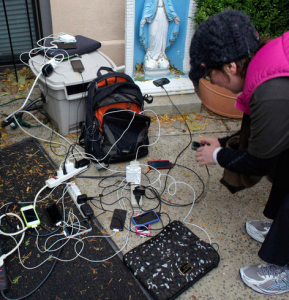 And while many remain frustrated with the timeline and the efforts of the utility companies in getting things back in order, what’s really made the biggest different, or at least a big one, is the efforts put forth by the New Yorkers themselves. Other cities look at New York and think we’re a bit rough around the edges – we’re impolite, unfriendly, judgmental, fast-paced, and generally irritable in the minds of those who don’t live here. We don’t even necessarily deny it. But even with our population of over 8 million, we’re nothing if not a community of people who really have proven this week that, we got each other’s backs. From local community message boards like Quentin’s Friends, to Facebook, Twitter, and every other social media outlet – the outpouring of support for New Yorkers, and of course New Jersey and other states affected by Sandy, has been immense and consisten. Inboxes are flooded with opportunities to help and support, to donate and provide. From my Meetup groups, the Freelancer’s Union, the Gowanus Studios and Brooklyn Art Space where I rent studio space, and even my local bodegas and beer gardens down the street, are donating time, space and resources for clothing drives, collection points and distribution efforts. I live in the Carroll Gardens section of Brooklyn, an area that fortunately was not hit nearly as hard as parts of lower Manhattan, Red Hook or New Jersey. We have power, we have busses, we have running water, and in my case, the ability to continue with life and work as usual. In this part of Brooklyn, we may not be lining up for food, water or supplies, but we’re sure as hell lining up to support anyone who needs them. As someone who advocates highly for the plight of small businesses, it pleases me to see small business at the root of the community these days. The local gyms are offering up their facilities and showers for free. Brooklyn Art Space and Gowanus Studios are offering free studio space to artists in Red Hook who have nowhere to work and create. Wellness professionals in my Quentin’s Friends community are offering free stress relief and counseling. My own resume business is offering free career consulting and resume support to those facing unemployment as a result of businesses being displaced in the storm. Small businesses supporting the communities in which they thrive, and the communities supporting small businesses – it’s a balanced partnerships that can only give way to a better economy and more prosperous society. Some days I joke that being a New Yorker is a love/hate relationship – with high taxes, outlandish costs of living, the likelihood that I’ll never own property, but also equally high opportunities, a standard of equality for all who live here, and a community that fosters creativity, ingenuity and technology like nowhere else. 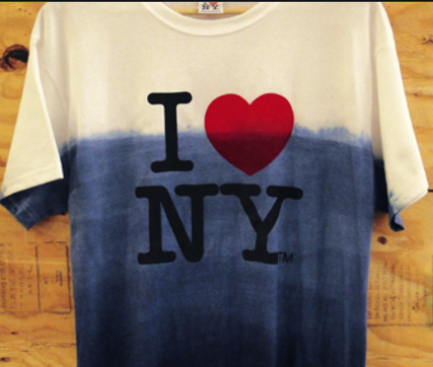 New York, you make me proud. We work hard, harder than anywhere else we might argue, a honor in our minds that puts us at ease, but isn’t necessarily a compliment, and surely is a detriment at times. But that’s the chemistry of a New Yorker – persistent, hard working, dedicated, and woven generations deep into the cultural fabric that makes up the personality and culture of this great city. We’re not leaving anytime soon. Not even after our infrastructure, our land, our waterways, our businesses and even our livelihoods are destroyed. Because nothing destroys a New Yorker’s spirit, and nothing stops us from rallying together to get out there and rebuild. 1 Comment on "Big City, Little Community: New Yorkers Got Each Other’s Backs"
Wow, beautifully put. This is exactly the sentiment I see from New Yorkers helping each other in the aftermath of Sandy. New York is truly a resilient city, stay safe, and keep up the good work!